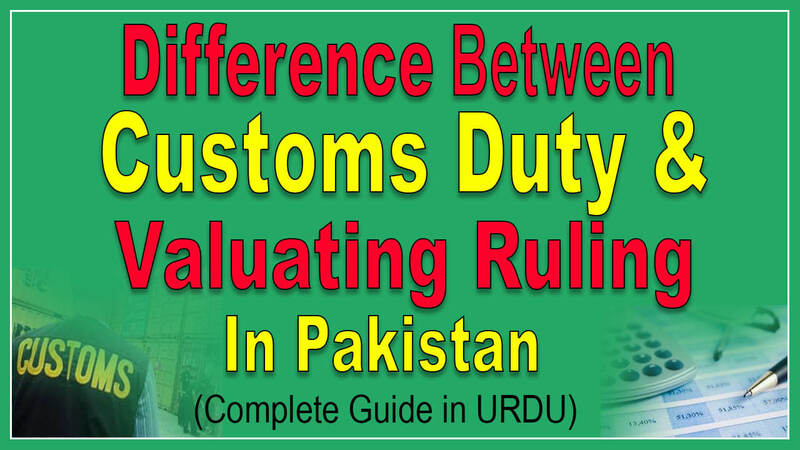 Difference Between Regulatory Duty And Custom Duty: Here in this post, we are going to discussed difference between Customs Duty and Valuation Ruling in Pakistan; we will also explain import duty and customs value. What is an ‘Import Duty ‘ Import duty is a tax collected on imports and some exports by the customs authorities of a country. It is usually based on the value of the goods that are imported. Depending on the context, import duty may also be referred to as customs duty, tariff, and import tax and import tariff. What is Customs Value or Valuation Ruling in Pakistan? Valuation ruling is actually a list of the pre-determined customs value of imported products, these prices fixed according to the international market price of the product.